Here is a small collection of useful map worksheets and fact worksheet - perfect for studying New Zealand's location in relation to its Oceania neighbours and finding out a little about the country. 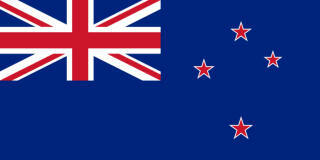 Do some research about life in New Zealand, then write about a typical day on this diary page. Sport is certainly popular in New Zealand but can you find out which sports are loved the most there, and then find out about other aspects of New Zealand culture too? What will the kids include on a tourism poster for New Zealand? Great as a solo activity, or for creating a class display of posters! Fish and chips is a popular meal in New Zealand, brought over to the country from England. Can the kids find out which other foods are popular there and draw a meal on the plate? This worksheet features the New Zealand coat of arms. Can the kids find out more about this unusual coat of arms and write about it here (and maybe try designing their own version on Worksheet 2)? Look for similarities and differences between life in New Zealand and your own life and record them on this Venn diagram worksheet. Even if some countries speak the same language and have a similar climate, they might be different in many other ways. Use this compare and contrast worksheet to see how life in New Zealand is similar or different from where you live. This worksheet asks older children to compile a number of facts about New Zealand - a useful way of starting to learn about the country. 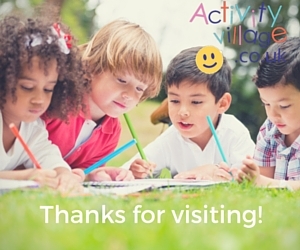 Our location worksheets are designed to help children locate countries and capitals and work out their relative size and position with their neighbours. These two worksheets are for New Zealand. 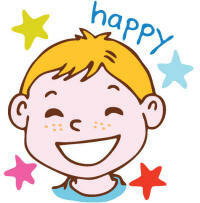 The guided worksheet is for younger children. Enjoy some relaxing colouring time with our gorgeous national flower colouring page for New Zealand, featuring the Kowhai. Fun Fact: Kowhai flowers were traditionally used by Māori to make yellow dye. New Zealand is highlighted in red on this simplified map of Oceania. It helps children put New Zealand into context and recognise its shape and size. 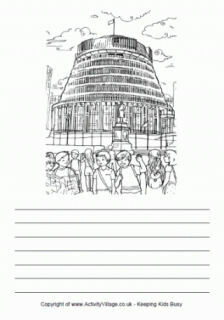 Draw your own picture on this postcard from New Zealand, then write about some of the things you might see and do there! It's easy to see the shape of New Zealand from this simple poster. Perfect for displays or for the cover of a lapbook perhaps? New Zealand was chosen as the filming location to make Middle‑earth come alive in The Lord of the Rings movies. Will the stunning scenery of New Zealand inspire the kids to write their own classic tale? We've created a front cover for a tourist leaflet about New Zealand, but can the children add some more information inside? New Zealand looks like a great place to visit, but can the kids write their own content for a travel brochure encouraging tourists to go there? This simplified worksheet is aimed at younger children, and asks them to find out a few simple facts about New Zealand and then gives them space to write about what they have learned before locating New Zealand on a map of Oceania. The kiwi is probably the most famous bird found in New Zealand, but can you find out about the other animals, birds and plants found there?